The new Nokia X smartphone comes with the Android OS and the new Launcher. The new device comes with lots of new features and UI. The new UI of the phone is similar with the Windows Phone devices. If you are Android mobile user and want to test the Nokia X launcher on your phone, yes you can do this easily with the Nokia X launcher. Thanks to the XDA member, opssemnik for porting over the Nokia X launcher from system dump of the device. To get the new launcher on your device all you have to install the file on your device with the help of custom recovery and after that you can enjoy the UI on your device. Note that this guide is for advanced Android users. To get started all you need android phone with the custom recovery like TWRP or CWM. In this post you can find instructions on to install the new launcher UI with both the CWM Recovery and TWRP Recovery. Step 1. First download the Nokia X Launcher zip for Android from here. Now move the file on your android device. You have to flash this file on your phone with the help of CWM or TWRP recovery. Step 2. Once the file is copied on the device, switch off the phone and boot in Recovery mode. Read here How to Enter Recovery Mode With Quick Boot. Step 3. Once your device in recovery mode, do take the nandroid backup of your device. To take a Nandroid backup go to Backup and Restore >>Backup. Step 4. Now from the recovery main menu, select ‘install zip from sdcard’, then ‘choose zip from sdcard’ and find the Nokia X Launcher zip file. Confirm the process. Step 5. Once the flashing process is completed on your phone, go back to the recovery main menu and select “reboot system” now. 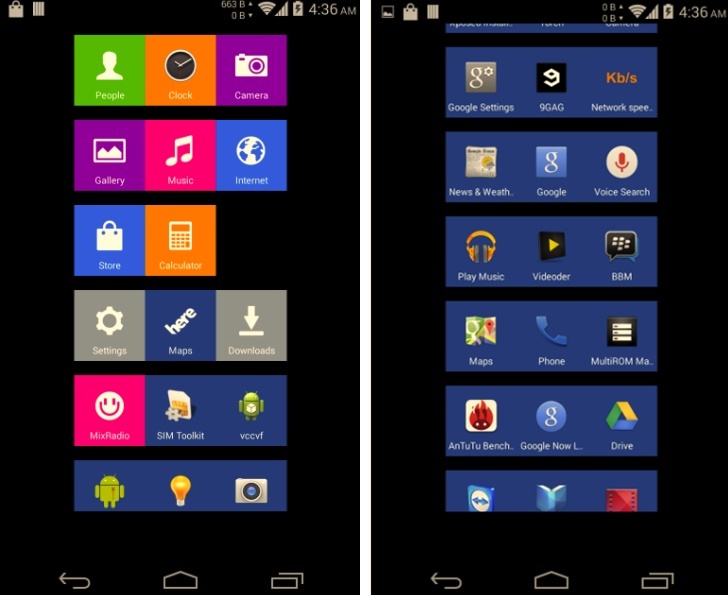 Now you phone will reboot and you will see the new Nokia X launcher on your android smartphone. Enjoy! Tried both the zip file and the apk file on my HTC ONE. it is failing to start :”program has stop working unsuspectingly” error.